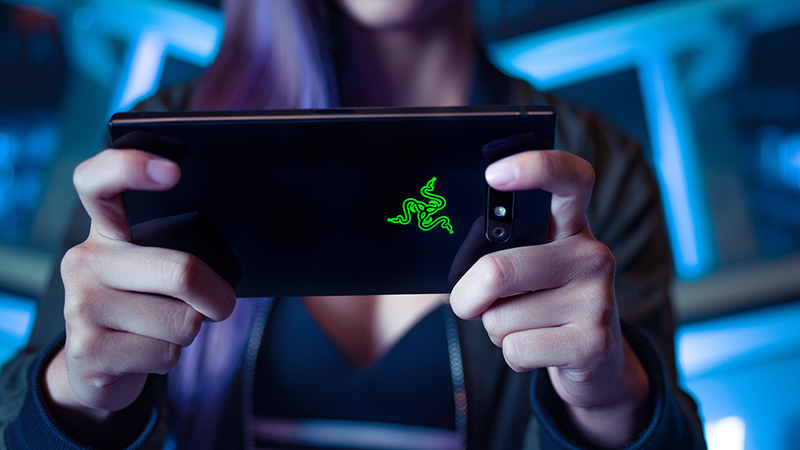 Gaming hardware company Razer debuted its first mobile handset last year to mixed, but mainly positive, reviews — a significant feat considering the fiercely competitive nature of this industry. That's not to say there weren't some major flaws. While the 120Hz refresh rate and dual front-facing speakers were praised, the camera was panned and critics disliked the lack of water resistance, wireless charging, and the dimness of the display. 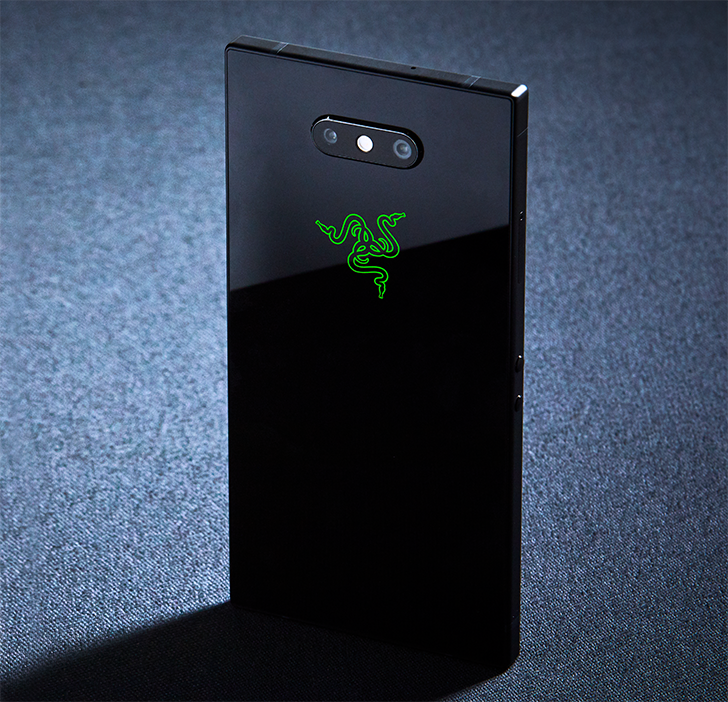 With its second generation device, the Razer Phone 2, the company has addressed all of those foibles, and to top it all off, added a RGB light-up logo on the back. The RGB lighting alone is likely enough to entice gamers to the device simply for the novelty, but it serves a purpose, as well. The lights, which come from Razer's Chroma brand, are customizable to over 16.8 million colors, and it's possible to set custom lighting effects for things like app notifications. Meanwhile, the main selling point of the device remains unchanged: the 120Hz refresh rate. This means the screen refreshes twice as often as a regular smartphone, which makes screen interactions smoother. Coupling that high of a frame rate with an OLED panel isn't possible yet, so Razer once again opted for an IGZO LCD screen, which was criticized last year for being too dim in outdoor light. This year, the display jumps to 580 nits of brightness from 380 nits in the first Razer Phone, an improvement of 50 percent. The processor running in the Razer Phone 2 is, unsurprisingly, a Snapdragon 845 with an Adreno 630 GPU and X20 LTE modem theoretically capable of download speeds up to 1.2Gbps. It's backed by 8GB of RAM and 64GB of internal storage, which is unchanged from the original device. The 4,000mAh battery is also returning. 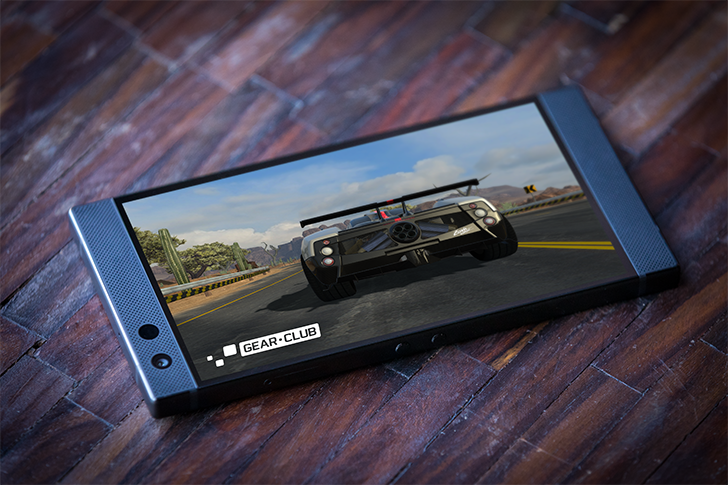 But while many specs are staying the same, the Razer Phone 2 does deliver some major changes. It's now IP67 water resistant and offers wireless charging thanks to its new rear glass panel. As for design, while the handset is still pretty large, block-like, and lacks a 3.5mm headphone jack, it makes these choices somewhat defensible by sticking with dual front-facing speakers (capable of up to 103.3 decibels) and adding a new vapor chamber cooling system that provides additional surface area for heat dissipation. One of the most important improvements, though, is the upgraded camera hardware. Razer has swapped out the Samsung-made camera sensors from last year with Sony IMX sensors. The specs are similar to the original Razer Phone's camera setup on paper — dual 12MP shooters, one wide-angle, one telephoto with 2x zoom, plus an 8MP selfie cam — but Sony's sensors should make for better processing quality, leading to crisper and more vibrant images. Additionally, Razer is debuting a new UI for its camera app, and says it's committed to updates. The company made no mention of other UI tweaks, but if the first device is anything to go off of, it'll be a minimally skinned Android device, running Android 8.1 out of the box. 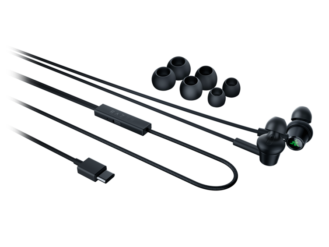 Left: Razer Hammerhead USB-C in-ear headset. 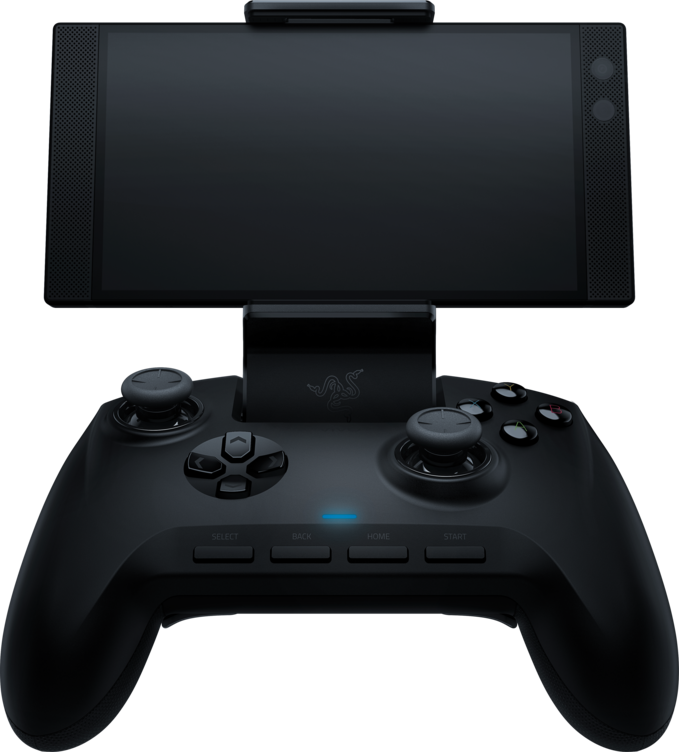 Right: Razer Raiju. Along with the new handset, Razer is broadening its portfolio of mobile gaming products with the $150 Razer Raiju Mobile game controller and the $100 Razer Hammerhead USB-C wired in-ear headset with active noise cancellation. 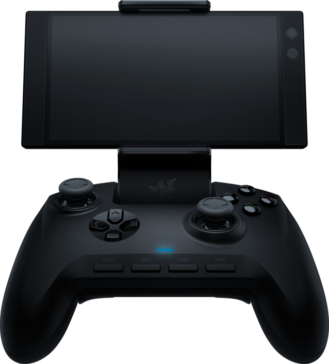 The gaming hardware manufacturer is also launching Razer Cortex on Google Play, an app for organizing mobile games, finding games optimized for the 120Hz display, and optimizing the Razer Phone's settings for gaming (though it's available on a "variety of phones"). On specs alone, it certainly sounds like a promising device, but at $799 it's competing directly with major players like the Pixel 3 and Samsung Galaxy S9+. It won't be easy to gain a solid foothold in the broader mobile market. Still, it's got a better shot than the new Asus Republic of Gamers phone.